Continuing our day trip from Armidale, from Nymboida we headed towards Grafton but swung north-west to join the Old Glen Innes Road before getting as far as Grafton. (It’s variously named the Old Grafton Road or the Old Glen Innes Road depending on which end of it you’re at). 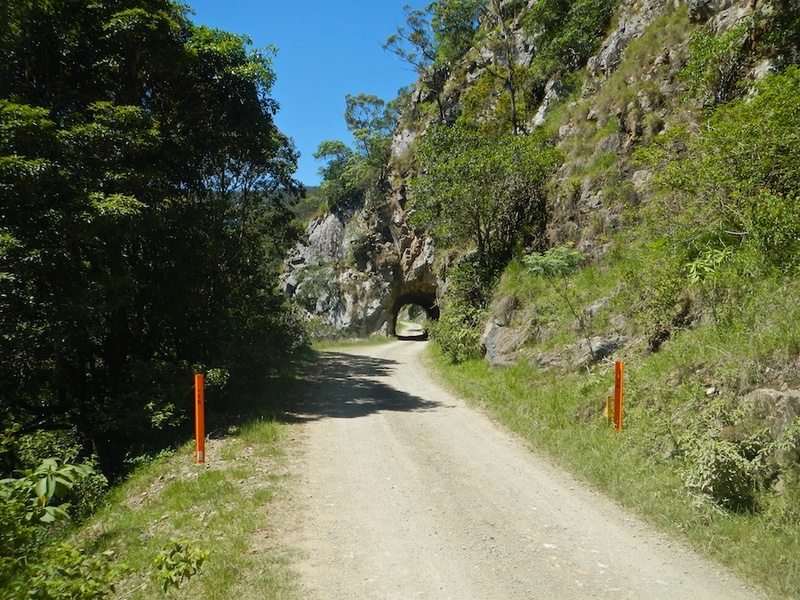 This was once the main road between Glen Innes and the coast. The “new” and current Glen Innes / Grafton road was opened in 1961. 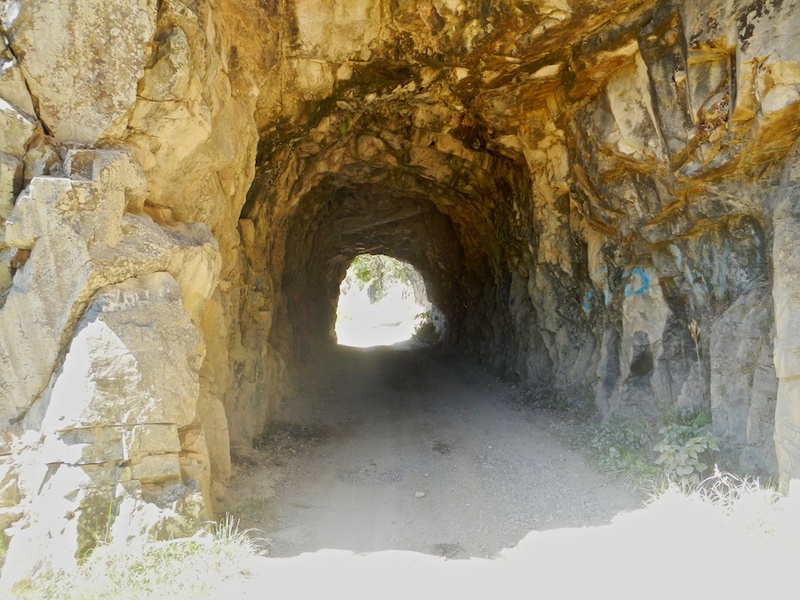 The most ‘touristy’ spot on this old dirt track is the tunnel hewn out of rock (ca. 1869). 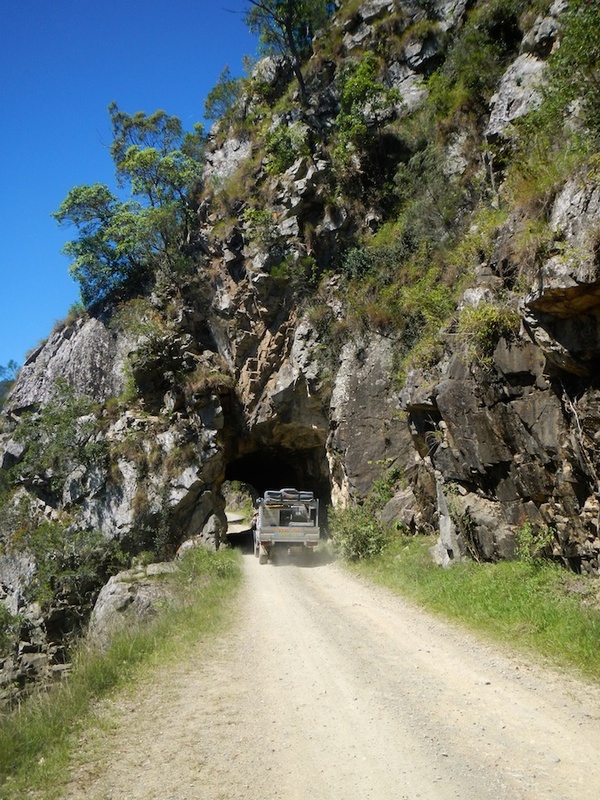 You wouldn’t want to be driving a wide, tall vehicle along this road. On a day trip from Armidale we took the Grafton Road to Nymboida for lunch. 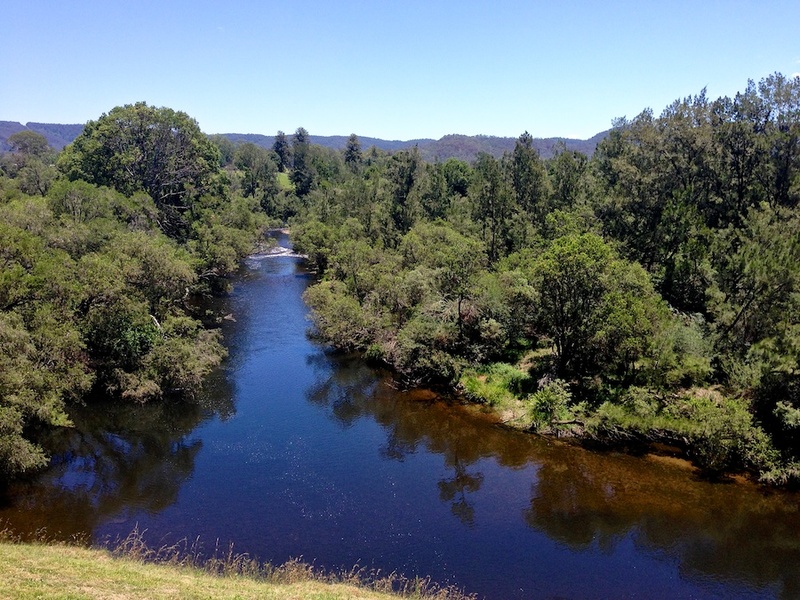 This view is of the Nymboida River, looking upstream, taken from the Nymboida Coaching Station Inn.